Don’t rebuild! You need to get everything clean with CEM’s Truckie Pack first! In most instances, this fixes your problem! 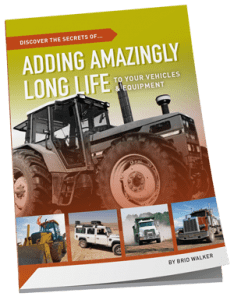 You’ve boosted power, reduced fuel use and destressed the engine and it’s good for a few more years work. After applying the product I was in awe at the performance I was receiving from the truck after a few hours of working. The “TOECUTTER” was running smoother, cooler, not using oil, and overall the performance is truly unbelievable. Blowby? Oil Use? Power Loss? Smoke? Poor turbocharger life? EGR problems? The Flushing Oil Concentrate enables owners to restore full cleanliness to their entire crankcase, removing all engine sludge and freeing sticking piston rings to restore optimal compression and control blowby. 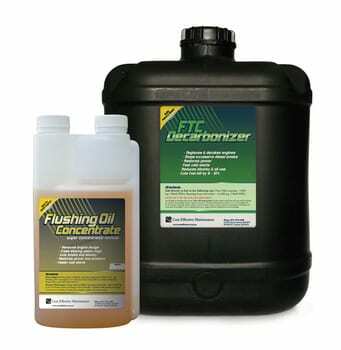 FTC Decarbonizer safely burns off cylinder glaze and carbon from combustion and exhaust spaces (including turbochargers). 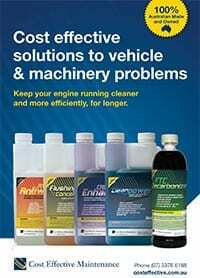 Engines suffering diesel emissions using FTC become totally free of hard carbon build up. The ongoing benefit of running the FTC Decarbonizer will avoid these carbon issues returning. 3 Sizes available depending on engine size. Fitted with a Cummins 444, Maslin Bros Pty Ltd used their T650 Kenworth daily on a contract with a Mt Isa mine site. The truck lost power and started smoking so badly, that it was black banned from site. The local Cummins dealer told Hugh Maslin that there was way too much blow by, and it would need rebuilding at $32,000!! Instead, Hugh tried FTC Decarbonizer and Flushing Oil Concentrate. He was absolutely amazed at how much rubbish came out on the flush. After the treatments, the Kenworth went back to work, for the remaining 18 months of the contract…with no smoke and no oil usage!! 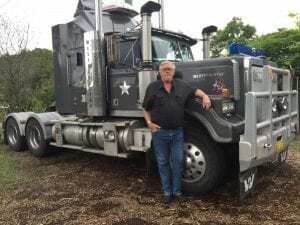 Two years later, and the Kenworth still showed no signs of deterioration. Hugh had saved the business a $32,000 rebuild, didn’t lose any downtime, and kept his client happy.